NO INDIVIDUAL in Colorado golf history was more closely identified with one club than Jack A. Vickers was with Castle Pines Golf Club, which he founded and presided over for nearly 40 years. “For lack of a better word and without being trite, Castle Pines was his vision, his dream,” says George H. Solich, the man who has succeeded Vickers—who died at age 93 last September—as the club’s chairman and president. To be sure, there was nothing J.V. about Jack Vickers except his initials. 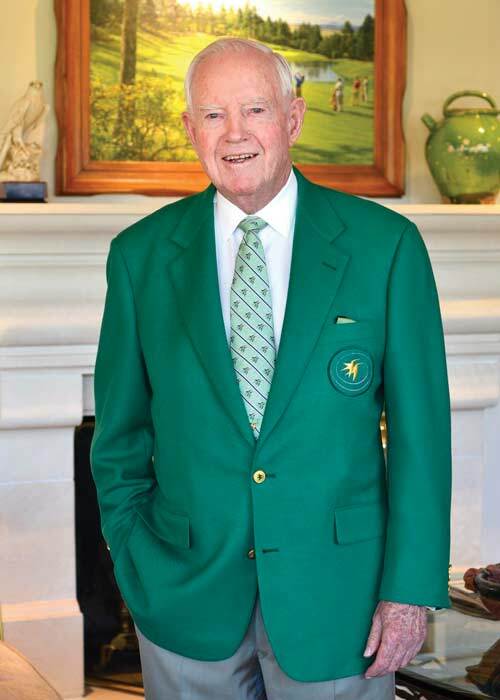 He drew his inspiration from Augusta National Golf Club, one of more than a dozen clubs to which he belonged. 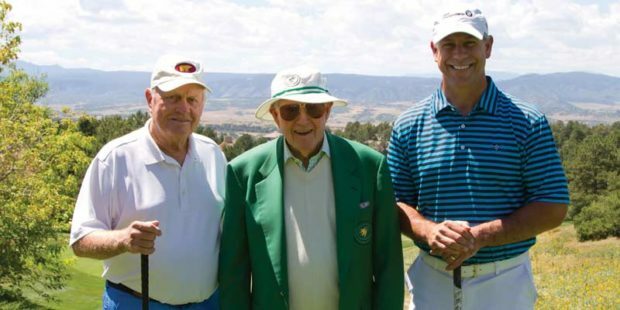 He envisioned a Colorado version of Augusta—a warm and welcoming club with a prestigious national membership, a club that would radiate the same best-in-class level of golf, food, service and hospitality as the venerable home of the Masters. Which is why, in 1979, he hired as course designer his longtime friend Jack Nicklaus, the 20th century’s greatest golfer, whose majors victory total included a record five Masters. The spectacular course hosted its first round in October 1981, and by 1986, four months after Nicklaus won for the sixth and final time at Augusta, Vickers and his fellow green-jacketed Castle Pines members were congratulating the appropriately named Ken Green as the inaugural winner of The International. Vickers saw to it that his tournament would distinguish itself from all others. 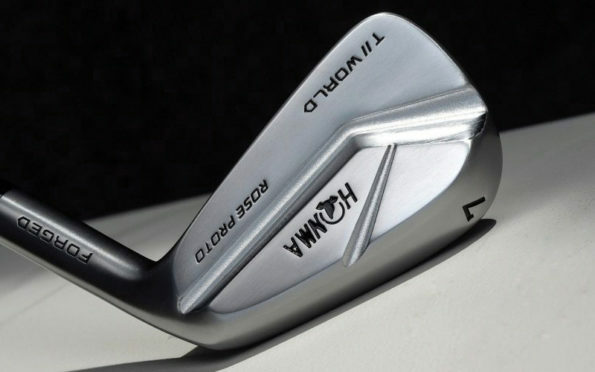 He made it the first PGA TOUR event with a million-dollar purse, the only one to use a Modified Stableford scoring system and a must-play destination for the best golfers in the world for the next 20 years. 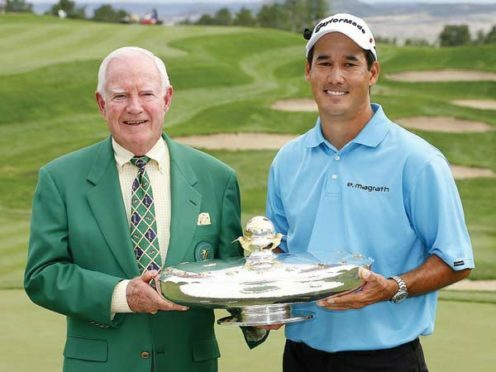 “Jack believes the best golf club is run by a dictator and not a committee,” club member Pete Coors said in a video at Vickers’2009 induction into the Colorado Business Hall of Fame. “He is a benevolent dictator who everybody loves,” echoed fellow member Charlie Gallagher. That love extended well beyond the staff and membership. In 2014, the PGA TOUR honored Vickers with only the 11th Lifetime Achievement Award in its history, and only the third (after Pete Dye and George H.W. Bush) given to a non-player. His funeral this past October at St. Thomas More Catholic Parish marked the first and only time Castle Pines allowed its members to wear their iconic hummingbird-crested emerald blazers off club premises. 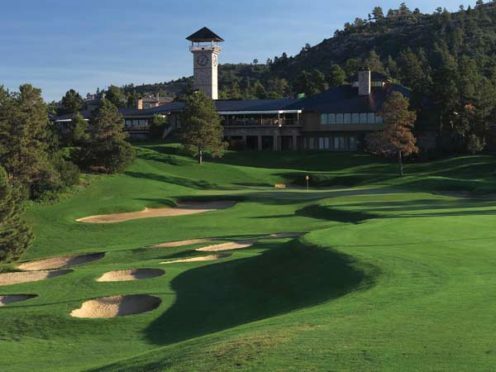 FOREVER 21: The par-4 fifth hole at Castle Pines Golf Club, for more than two decades the home of The International tournament on the PGA TOUR. In the summer of 2015, Nicklaus, Vickers and General Manager Keith Schneider toured the property—as they did during the course’s initial construction. “They were going to redo the greens, so we went to see if there was anything we could do to improve the course,” Nicklaus says. The design changes mainly affected holes 2, 5, 6, 8, 9, 12, 13 and 16, with new green complexes on 5, 8 and 16; the addition and elimination of numerous bunkers; the re-contouring of slopes surrounding the greens; and the addition of cascading ponds on 16 similar to those on 11. A logical event is the BMW Championship. Solich had “a great experience” working with the PGA TOUR as general chairman of the 2014 BMW at Cherry Hills Country Club, where he is also a member. 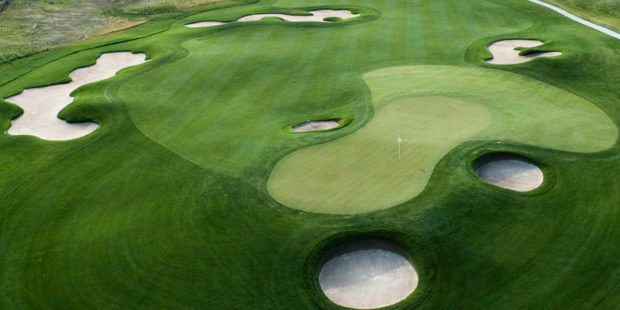 Originally known as the Western Open, the BMW Championship is the second-oldest professional tournament in the U.S. and the signature fundraising benefit for the Evans Scholars Foundation. 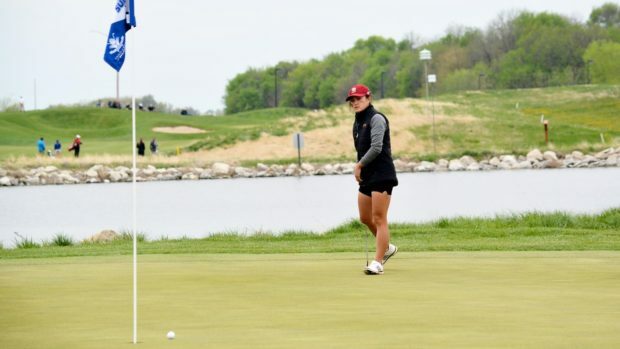 Solich—a former caddie, Evans Scholar and an active member of the Board of Directors of the Western Golf Association/ Evans Scholars Foundation—played a critical role in bringing the event to Colorado. 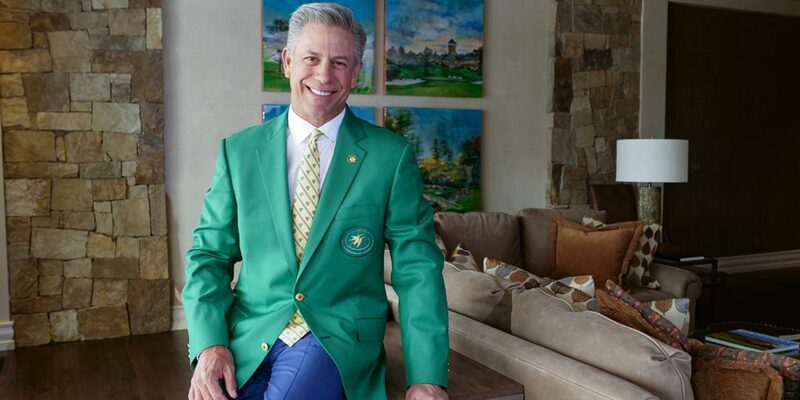 “He sat right here on this patio and said that,” Solich relates, referring not to the glorious clubhouse patio overlooking Castle Pines’ uphill 18th hole but to the patio of a beautifully appointed cottage bordering the first fairway. The extra space will accommodate a dedicated fitness area—relocated from one of the cottages—and spa with treatment rooms and a cold plunge, a wine cave and an enlarged terrace area. “We’re making the fitness area much more of a centerpiece of the club and clubhouse,” Solich explains. “And we’re building some programming around it.” With nearly 60 percent of members traveling from out of state, they come to Castle Pines as a destination, and would prefer to stay at the club for fitness and spa. A new elevator will deliver riders to the top of the clocktower, rewarding them with spectacular views of the Front Range. “It wasn’t exactly a destination spot before,” laughs Solich, noting the space formerly housed mainly communications equipment. GIVING BACK: The Solich Caddie and Leadership Academy has produced 19 Evans Scholars. GE Johnson Construction is the general contractor on the 44,000-square-foot structure, which is slated to open later this summer. “Having the right people on the job means we’re going to have the right outcome,” says Solich. He could very well apply that sentiment to himself. A driven, charming and charismatic self-made businessman with a deep appreciation for the opportunities golf afforded him, Solich is the right man to lead Castle Pines. 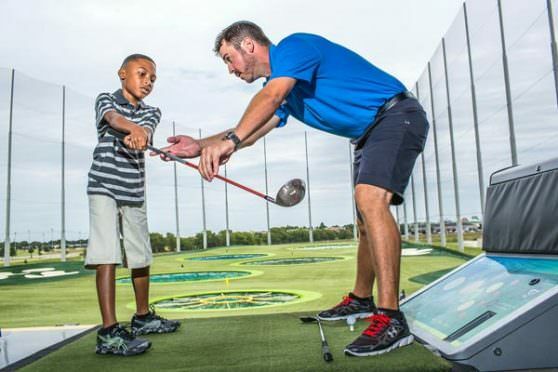 Yes, he has his experience with the PGA TOUR, but an almost congenital connection to Jack Vickers and his vision for Castle Pines to be the best in everything encompasses and surpasses that. Although he came from a working-class family in Colorado Springs and Vickers was the son to oil-rich parents from Wichita, Solich has much in common with the legend he’s following. 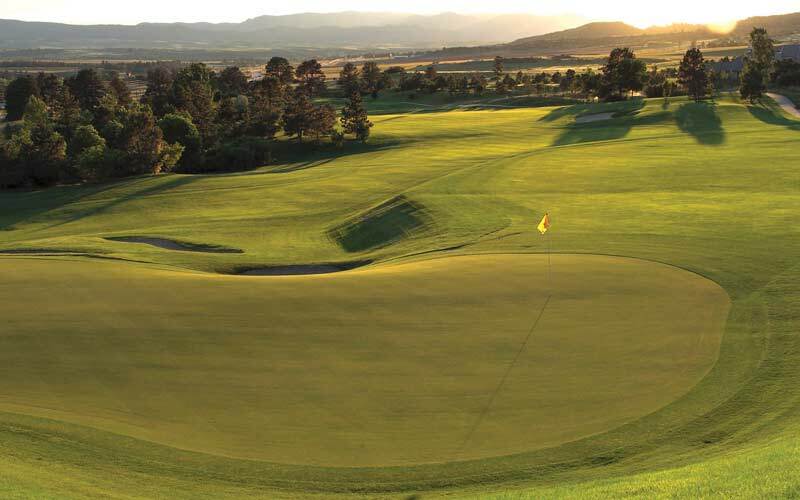 The young caddie would experience firsthand what Vickers meant to golf early in his junior year at CU, when he and 19 other Evans Scholars were asked to travel from Boulder to caddie at the inaugural playing of the eagerly anticipated Nicklaus-designed layout at Vickers’ Castle Pines Golf Club. Like Vickers, Solich, who’s president and CEO of FourPoint Energy and LongPoint Minerals, made his money in the oil and gas business, and also like Vickers, his wealth has enabled exceptional philanthropy. The Jack A. Vickers Foundation and The International Charities donated throughout the years to hundreds of worthy causes, including, most notably, the Boys & Girls Clubs of Denver, where his legacy lives on through the recently constructed Jack A. Vickers Boys & Girls Club in northeast Park Hill. 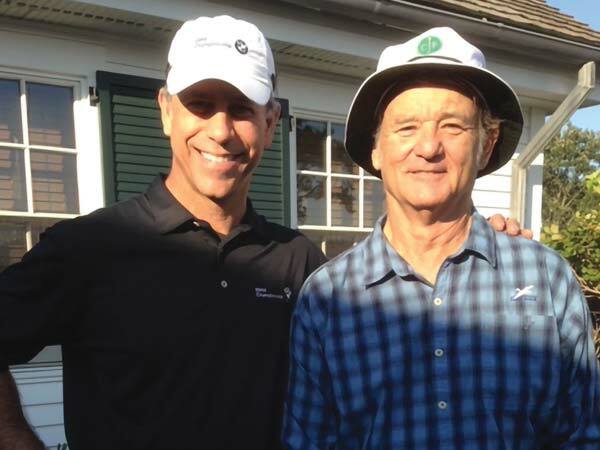 LOOPERS: Solich and Bill Murray at a 2015 pro-am to benefit the Evans Scholarship Foundation. “A great golf club has to have a great caddie program—period,” he has said. Castle Pines does, as do Cherry Hills and The Broadmoor, where he’s also a member. For all his talk of “greatness,” George Solich remains approachable and confidently humble, much like the “lovable dictator” who preceded him. He assumed the leadership of Castle Pines at the age of 57, roughly the same age as Vickers when he started the club, and was invited to join Castle Pines at age 43; Vickers was 41 when Augusta National came calling. Last November, a few weeks after accepting the presidency and chairmanship of Castle Pines, Solich visited Augusta National for the first time since Vickers had passed away. This article appeared in the 2019 April issue of Colorado AvidGolfer.